The official Adventure Team Seismograph (7319-6) gets Joe ready to capture scientific data. When jiggled indicator needles move along a scale on the front of the toy. 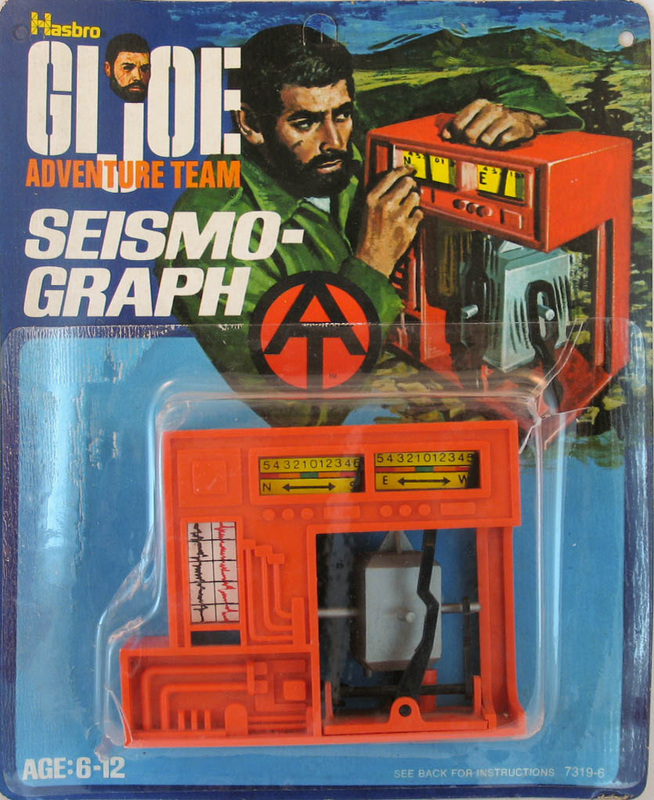 The seismograph was later redeployed in the 1975 Raging River Dam Up set.